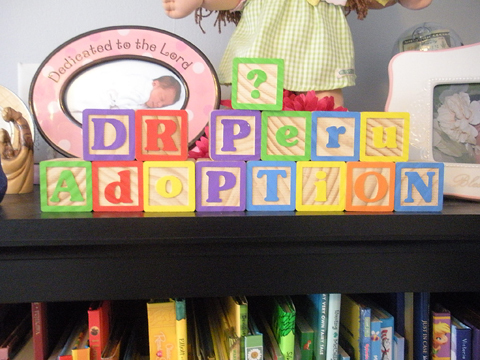 There hasn’t been any major news in our adoption process since we sent our dossier off to Peru back at the end of February…. Ok. So you would think at this point that we might be sharing news that we heard back from Peru or that we had requested information on a child. Something of that nature. Well actually, we are here to share with you that we are switching countries to…. You might be thinking… How did this come about? Why Hong Kong? Isn’t it a little late in the game for this? Haven’t you already switched countries before? And I am here to answer every one of them for you and any more questions you may have. A couple of weeks ago God began to work in my and Michael Luke’s hearts after talking to our social worker who had just gotten back from visiting Peru. She shared with us and the other families that are in the process of adopting from Peru that Peru has a large number of families wanting to adopt from there. Which is a blessing. Unfortunately, Peru is only physically able to place a certain number of children each year. This number is less than the number of families waiting to adopt which leads to the longer wait for a child from Peru (24-30 months). On top of the long wait our goal is to keep the birth order, meaning Noah will be the oldest, but having had the chance to view the waiting children list over the last couple of months we realized that this was going to be really hard to do since most children are two or over. With all this news we began to question God’s plans for us. Especially since the need for adoption was being met to the best of Peru’s ability. Did He want us to look somewhere else? Possibly outside of Latin America? The more we prayed and talked about it the more we sensed Him leading us to Hong Kong. Hong Kong was appealing to us for several reasons. One is that the process is expected to be much quicker. Even switching over from where we are, the remainder of the process could take as little as nine months. That means we could be bringing home our little one by the end of the year! Two, even though the number of children available is less than in Peru, the number that fit within our age range is already larger than we had seen on the Peru waiting child list. Three, there is a need for adoption in Hong Kong and we honestly sense that is where God is leading us. Isn’t it a little late in the game for this? Not really. We are actually at a great place to switch countries… any further and it might have been a problem. We will have to reapply to U.S. immigration to adopt a child from Hong Kong instead of Peru but that shouldn’t take very long. We also have to submit our dossier to Hong Kong now but we actually just got to that part in the Peru process last month. Thankfully, the Hong Kong program is a little more streamlined and tends to run a little faster. So from the time our dossier is submitted to hopefully our dossier being approved should be around three months. We were looking at six months minimum with Peru. And with the possibility of matching with a child so much sooner it really could speed things up in the long run instead of set us back. Haven’t you already switched countries before? Yes. Originally, our intentions were to adopt from Colombia but we encountered a bump in the road that lead us to switch to Peru while still in the home study process. At the time Peru looked like the best fit for us even though we knew the selection of children that fit within our age range would be small. Also at the time we switched Hong Kong wasn’t one of the countries that our agency, Lifeline Children’s Services, partnered with. 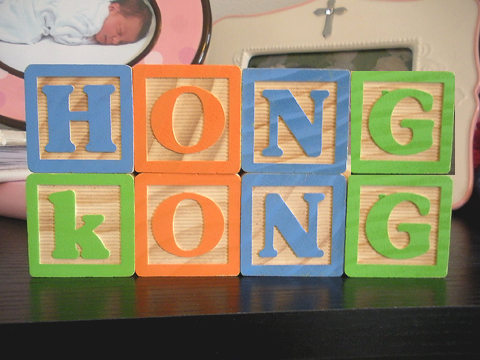 We are excited with the move to Hong Kong and look forward to the rest of the journey God has planned for us! The nice part of adoption is that no matter where your child comes from, domestically or internationally, there is one less orphan. I realize this is a lot but I wanted to bring you all up to speed on how the adoption process is going and where we are in the process. If you have any questions please feel free to ask me and I will do my best to answer them. Thanks for sharing this journey with us and as always we continually appreciate your prayers as we seek to bring our little one home. P.S. Next Friday I’ll be back to share more about Hong Kong in general, what the trip will look like for us, and a few other bits of information about the process. P.P.S. For easy reference all our adoption posts are grouped together on our Hong Kong Adoption page accessible at the top of the page. Facebook, Pinterest, Twitter, Instagram, or RSS. This entry was posted in Adoption, Family and tagged adoption, Hong Kong adoption, lifeline adoption on 04/05/2013 by Krystle. A very good friend of mine, an attorney I used to work with, and his wife adopted two little girls from China several years ago. They adopted them as infants, first one then the second about 4 yrs later. They both are just the sweetest little girls you could ever meet. My friend and his wife decided to keep the girls’ original Chinese first names then give them family middle names, so the oldest is Mei Mei (pronounced May May) and the younger one is Jing. I’m so excited for you, ML and Noah! I’ll continue to keep you in my prayers. Thank you so much for continuing to pray for our. We are so excited for what the next couple of months holds in store for us. I LOVE HOW GOD WORKS!!!!!!!!!!!! I love your heart for going to where there is a need. This is very exciting news!!! YEAH!! Thanks, Katie. I think I get more excited every day. Hopefully we will be bringing our little one home soon… all in God’s timing. Thanks Kelly. Now I am off to read your blog because I saw you are having your nursery reveal today! This is such an amazing journey. I know you guys are doing the right thing!! Learning all about this adoption process has been very interesting…John and I have talked about wanting to adopt someday so thank you for sharing all these details!! Thanks, Whitney! The whole adoption process can seem very confusing at first but now that we have been trekking through it for the past year it seems a lot more clear. I’ve been thinking maybe a should do a breakdown of the whole timeline/process of events just so it will make a little more sense to those not familiar with the adoption process. It is so exciting to hear that y’all also have a heart for adoption!